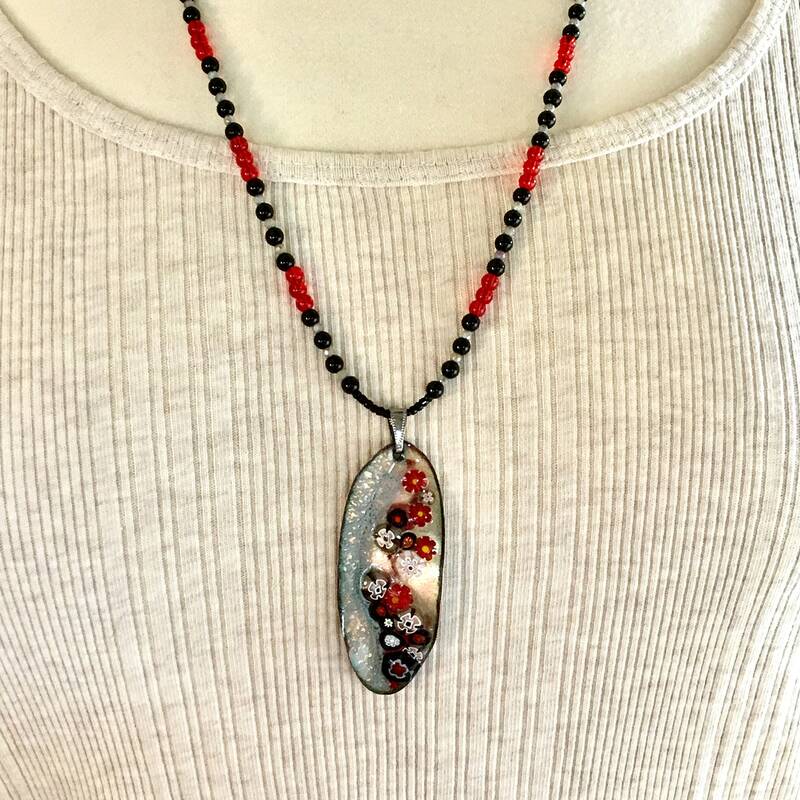 One of a kind long necklace with a hand enameled art pendant, inspired by a leaf shape and enameled with gray, black, red & white floral pattern. 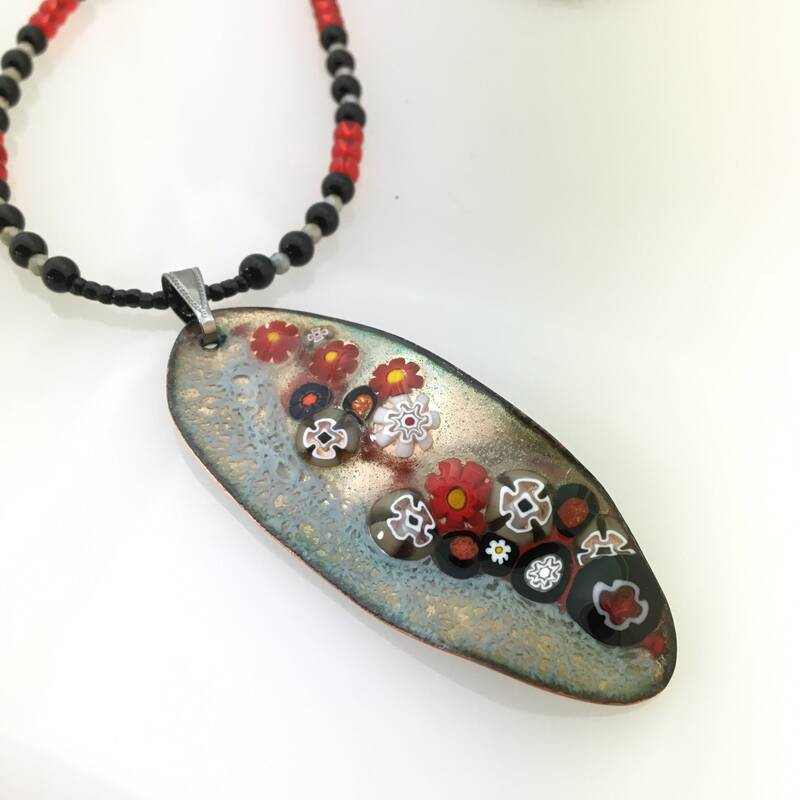 A hand made copper shape is coated with multiple glass layers & fired multiple times. 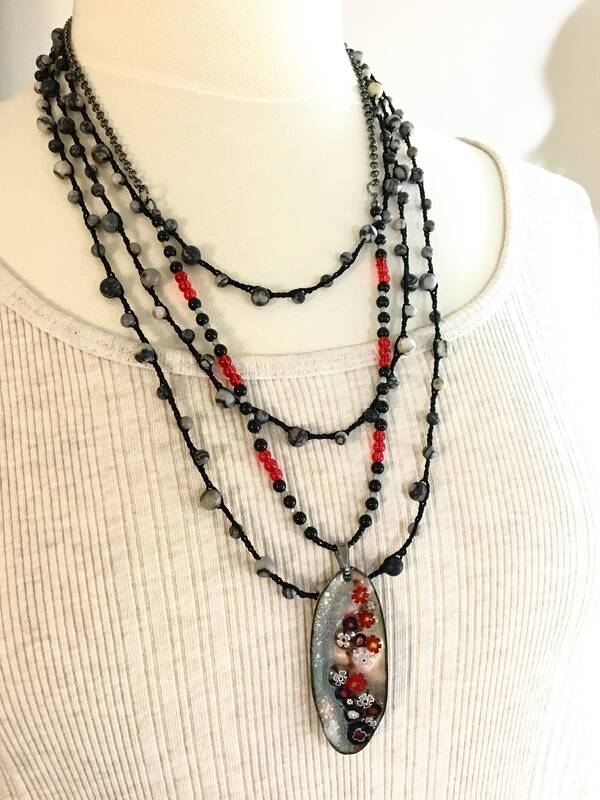 A long 25” chain blends dark gunmetal chain and 11” of gray, black & red beads, echoing the glass colors I used in the vitreous enameled pendant. 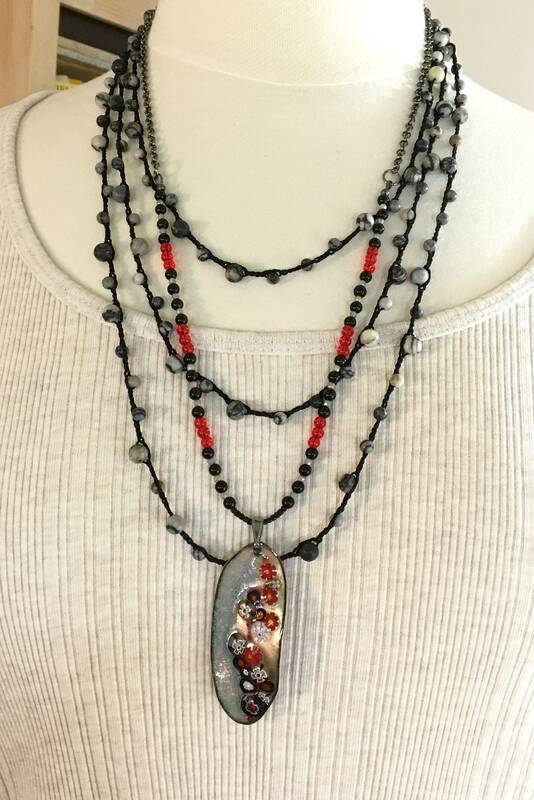 Shown here worn with my silk & pearl chain available here https://www.etsy.com/listing/671719985/crocheted-charcoal-dark-silk-and-peacock. 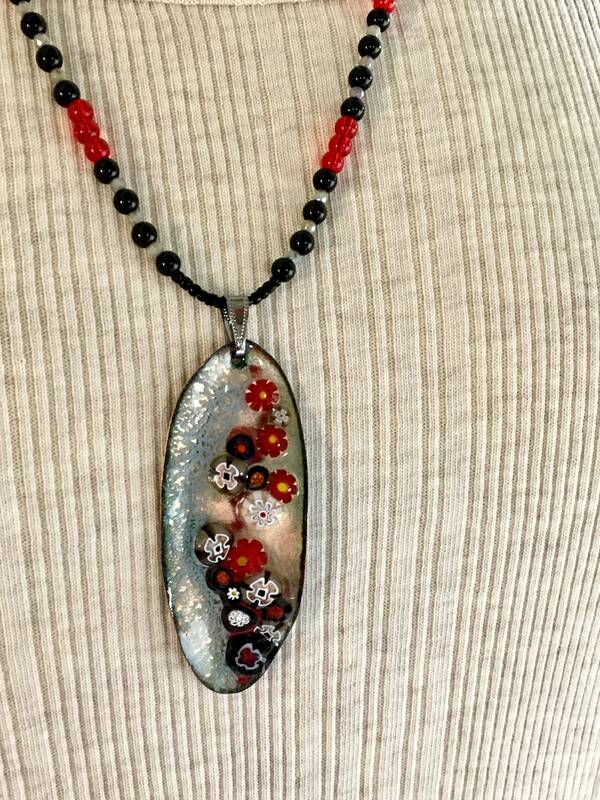 Also shown with a longer, heavier silk chain that is not listed yet. Ready to mail. 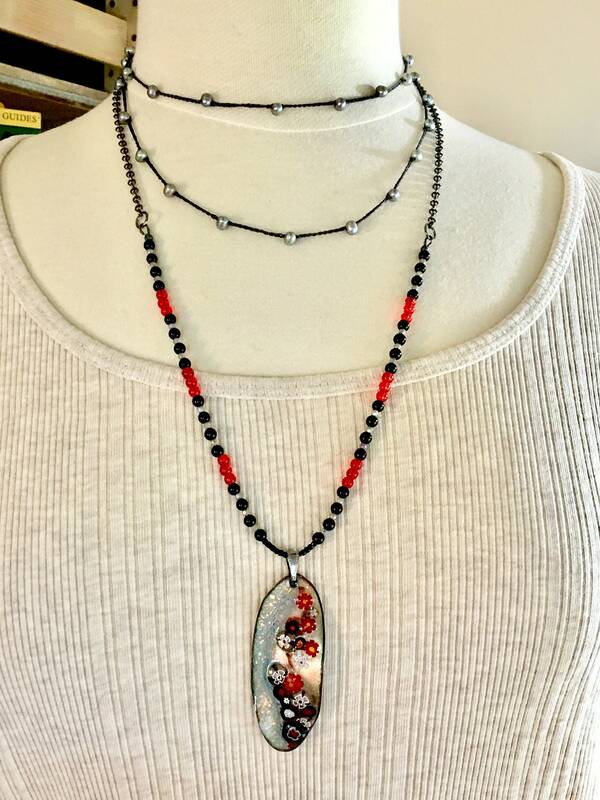 Shipped in my signature packaging, ready to gift or to enjoy. 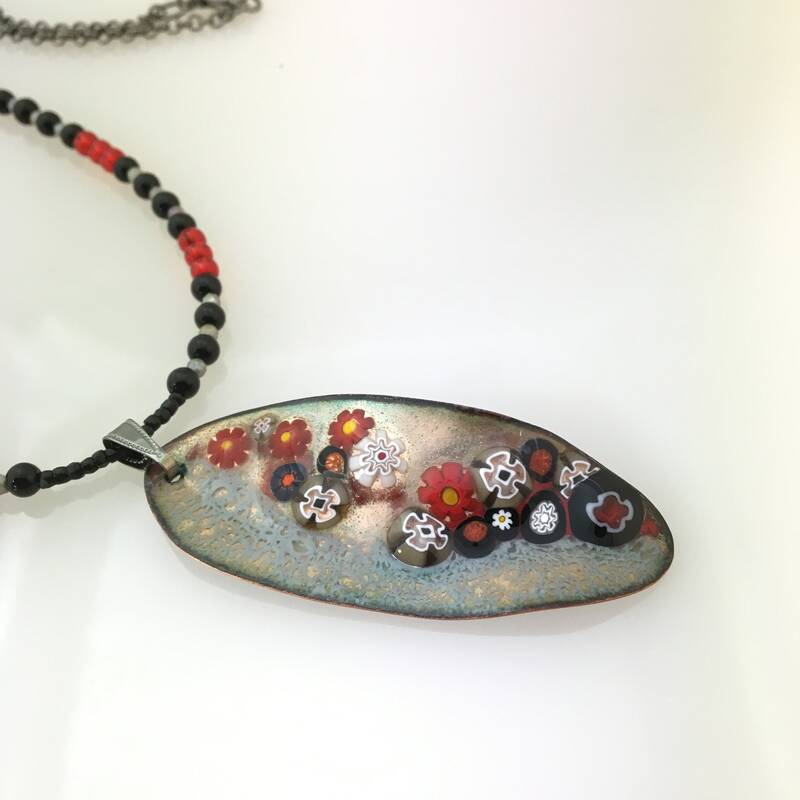 My copper enameled pendants are developed as glass crumbs, powders and bits are added layer by layer to a hand cut and formed copper leaf shape. 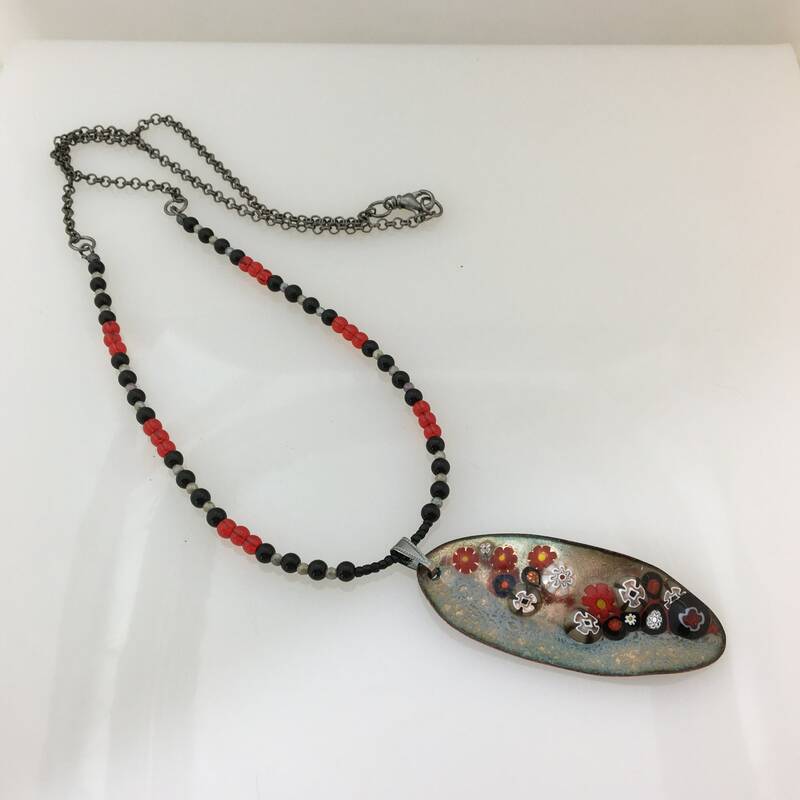 I put the piece in my kiln and fire it to 1400F to 1450 F multiple times which permanently bonds the glass and the copper. 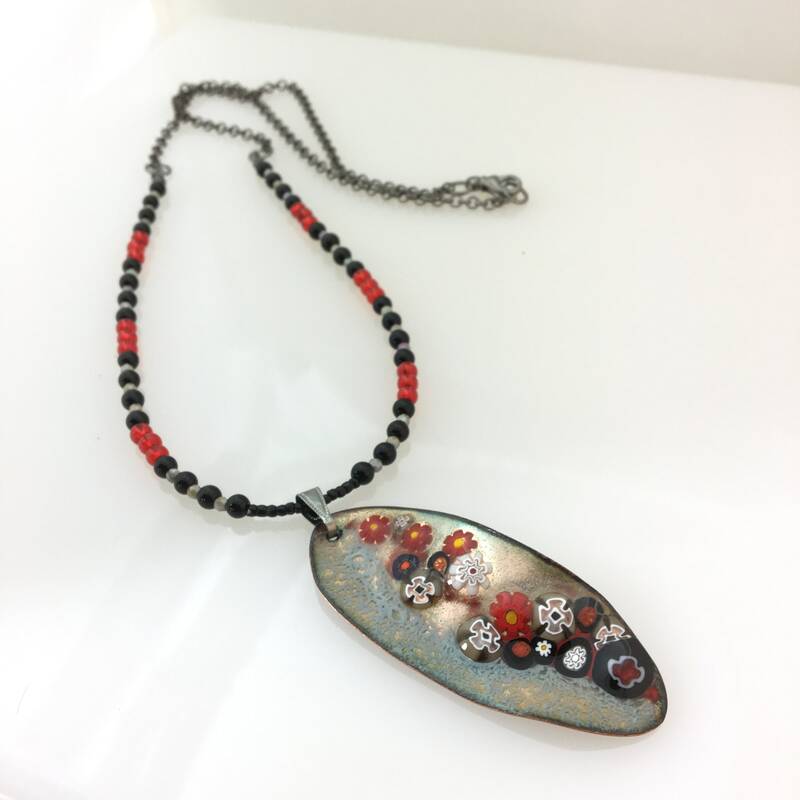 Enameled pieces are durable, lightfast, waterproof and permanent with the only caveat that glass could be fractured with a strong impact.